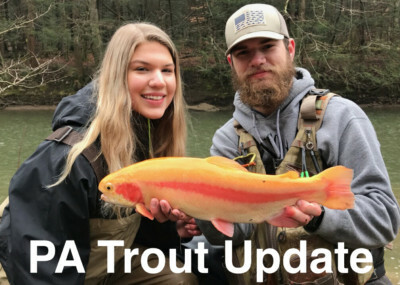 The Virginia Department of Game & Inland Fisheries is stocking lakes and streams all over the state and fishing has been good. However, recently I was invited to fish a private pond and had a blast. Known as Seven Springs Trout Pond this small pond is located in Tazewell, Virginia, and is stocked every Thursday with 500 to 800 pounds of trout. It’s the perfect new spot to introduce anglers to fishing because they are going to catch something. I had a blast at this place because it promotes a family atmosphere. Kids and their parents line the shore. Because of heavy stocking and it being a small pond it’s a great place to take children trout fishing. Reason being: it’s easy to catch trout. 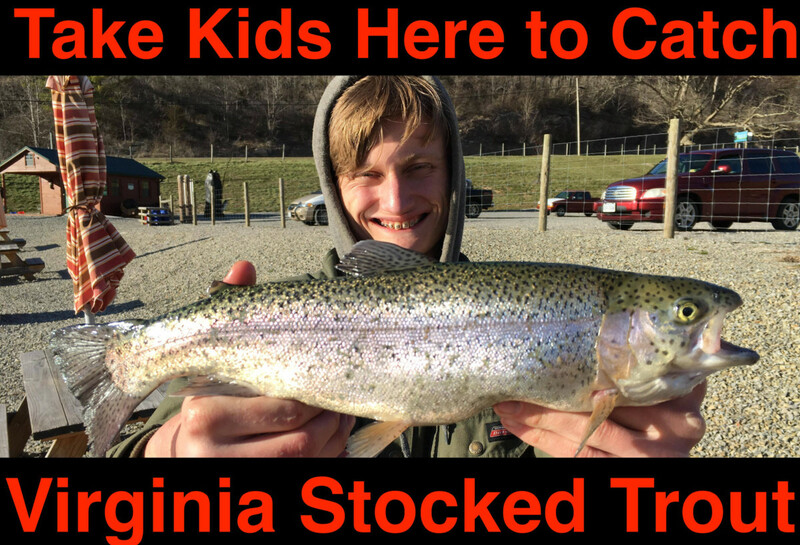 It’s the kind of place where parents bait kids hooks and net trout as the kids reel them in. 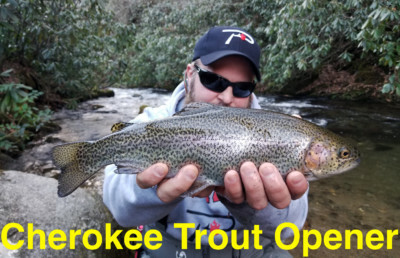 Everyone wants to catch a trout their first time out fishing and this is the kind of place it’s almost guaranteed to happen. When I’ve been here action has been constant. This is super simple fishing and comes with easy access. Keep in mind, however, this a pay lake. 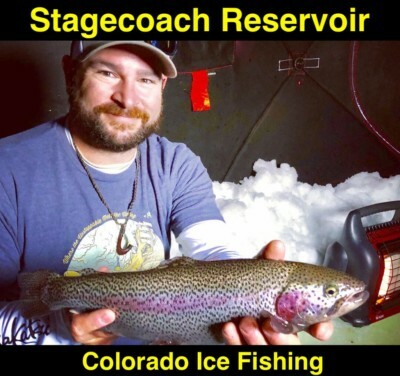 There are no entry or rod fees, but you have to pay $4.25 a pound per trout you catch. The lake is stocked with rainbows and golden rainbows only. Most of the trout are one-to-three pounds, but a few trophies are stocked, too. It’s important to keep things simple here. Because of the size of the lake there’s no hot spot. Bait fishing yields excellent results and it’s how I fished the pond. I prefer to use six-pound Stren Low Vis Green. 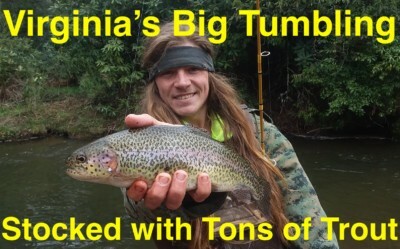 It’s strong and invisible to trout, at least in my area. For bait, I’m floating Fire Bait three to four feet off the bottom and getting hit instantly. Peach Garlic and Garlic Salmon Egg Fire Bait have been the best colors, but Pink Fire Bait has been good, too. It’s that simple, grab some Stren, a few split shots, a small hook and some Fire Bait and bites come almost instantly. 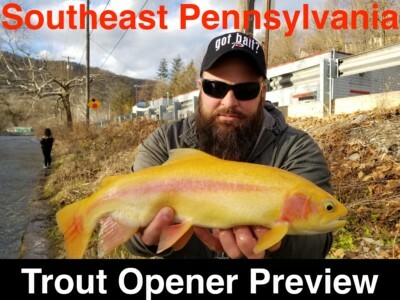 *To learn more about Seven Springs Trout Pond (only opened Saturday and Sunday) please visit: https://www.facebook.com/Seven-Springs-Trout-Pond-360777180960273. Editor’s Note: Samuel “Fluff” Davidson is the founder of GP Outdoors. To following their adventures please visit https://www.facebook.com/groups/159806401558929.